Hellmaier helped to build Porsche Holding into Europe's largest dealer group. Porsche Holding CEO Wolf-Dieter Hellmaier will retire Dec. 31, ending a long career with Europe's largest dealer group. 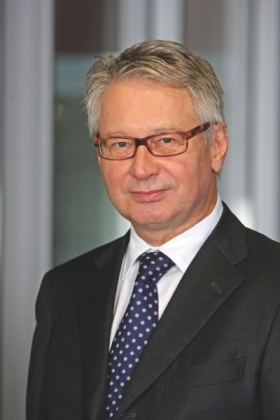 Hellmaier, 68, joined the Salzburg, Austria-based company in 1971. Volkswagen AG acquired the dealer group, which was formerly owned by the Porsche and Piech families, in March as part of a deal to rescue the financially troubled Porsche Automobile Holding SE. Hellmaier will be succeeded by Alain Favey starting Jan. 1, 2012. Favey, 44, has been head of VW brand's passenger car sales since April 2009. He joined the VW Group after spending a decade working for Citroen. Hellmaier, an Austrian who studied economics, has worked in almost every one of the dealer group's departments during his 40 years with the company. Since 1991, he has been a member of Porsche Holding's management, responsible for subsidiaries including Porsche Inter Auto and Porsche Austria. In 1997, he joined the management board in Salzburg and became CEO five years later. Porsche Holding is Porsche's and VW Group's top importer for eastern and central Europe. In 2010, the company's dealerships sold an industry-leading 422,608 vehicles in 18 countries in Europe. Porsche Holding ranks No. 1 on the Automotive News Europe list of the top 25 European dealer groups with revenue of 12.84 billion euros in 2010.